The scheme is made up of two separate plots. 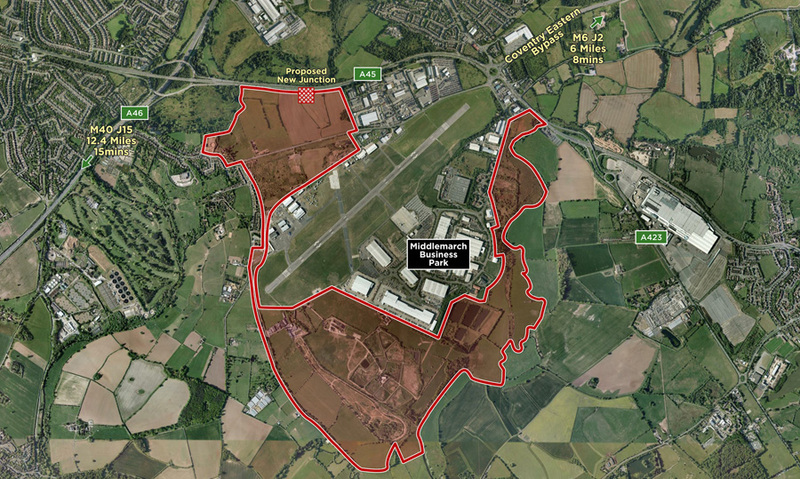 The southern 200 acres is capable of providing 3.6 million sq ft of large B2/B8 warehousing, whilst the northern 60 acre plot fronting the A45 has the potential for a variety of B1(a) (b) and (c) uses together with a hotel and other ancillary retail uses, totalling 900,000sq.ft. 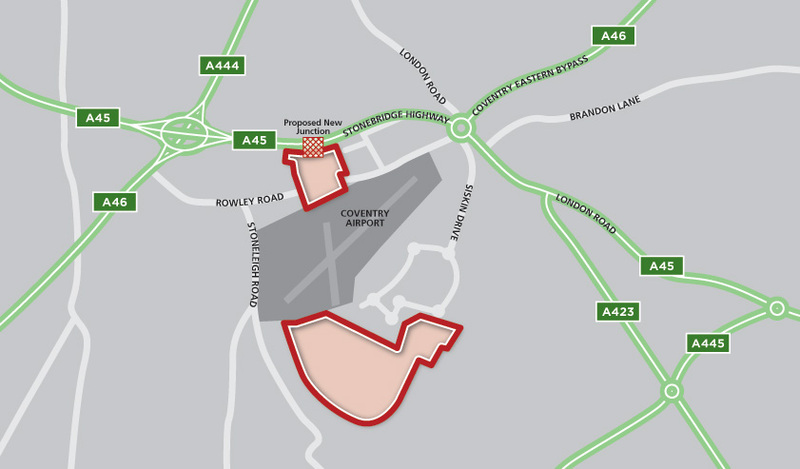 The scheme is to the south of Coventry, close to the established Middlemarch Business Park, alongside the A45. 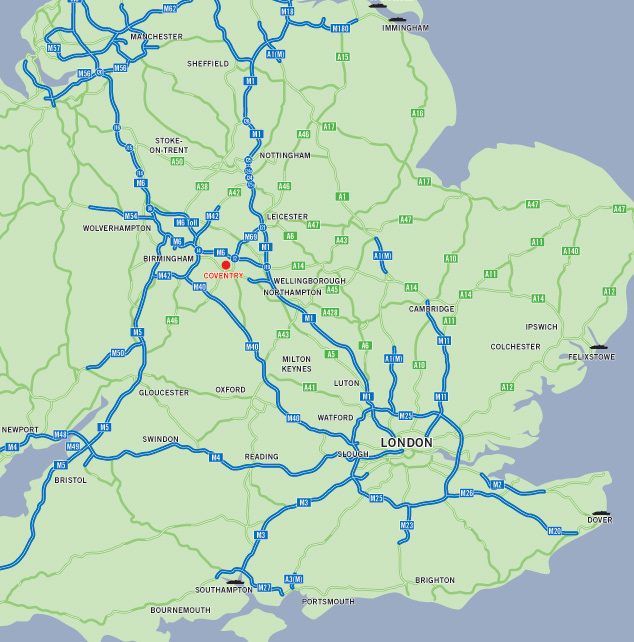 This road with the A46 provides an instant dual carriageway connection to the M6 (J2) 6 miles to the north, the M40 (J15) 12 miles to the south west and the M45 8 miles to the east.